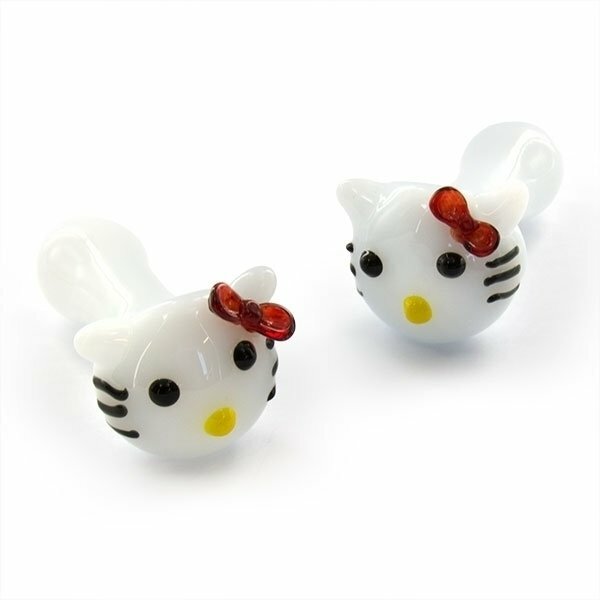 The little Glass Pipe Hello Kitty looks sweet, but does not belong in children's hands. It is a 10cm long bud burner and will make you purr. Cute small smoking device for the traveling or outdoor smoking enthusiast.